International Broker InstaForex invites all clients to join exclusive Club InstaForex. Every member of InstaForex Club is granted a number of privileges. 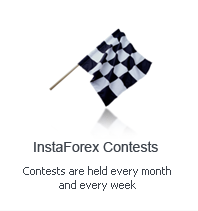 In particular, members of InstaForex Club get additional bonuses for every replenishment of their trading accounts. Moreover, participating in the program "InstaForex Club" you become a member of the premium InstaForex trader´s club and get an advantage over the competitors in fight for the cars BMW X6 and Jaguar F-Type. Besides, you get an opportunity to participate in other contests and campaigns with the total prize fund $500,000 on favorable terms. To join InstaForex Club you need just to become our client. Fill in the registration form in the section InstaForex Club of the client´s cabinet for receiving a club card. Upon receipt of the client´s application PIN-code to his/her InstaForex club card is informed to him/her. A card is automatically attached to a trading account of the client and sent to him/her by post together with the covering letter. In order to defend the club card´s system from fraud $10 is charged off the client´s trading account when he/she obtains a card. Since a client has activated a card of InstaForex Club he/she has a right to get club bonuses for every account´s replenishment. You can also use the link in the trader´s cabinet for getting bonus.